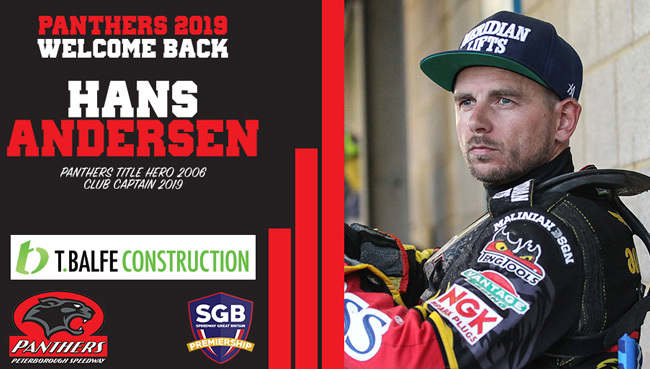 PETERBOROUGH legend Hans Andersen is returning to lead the club as they head back into the top flight of British Speedway. Andersen was Panthers skipper in the unforgettable 2006 Grand Final when they came from the dead to pip Reading to the Elite League title in a dramatic last-heat decider. The Danish star’s last spell at the East of England Arena came at the end of the 2011 campaign, and since then he has been part of successful campaigns with Swindon, Coventry and Poole – captaining the Robins to the 2012 title and being part of play-off qualifying teams on five subsequent occasions. And promoter Ged Rathbone says there was an immediate desire from both rider and club to work together as soon as Panthers were elevated to the Premiership. Rathbone said: “Hans is ‘Mr Peterborough’ without a doubt, he’s back where he belongs, and it was very apparent from his social media straight after the news of us going up that he knew where he wanted to be. “He’s ridden at the very highest level, and coming ‘home’ at this stage is also something which excites him – it brings back memories of 2006 of course, and for us it ticks all the boxes. “We’d always kept in touch over the last few years, and there were times we looked at bringing him into our plans for the Championship and unfortunately he wasn’t eligible. 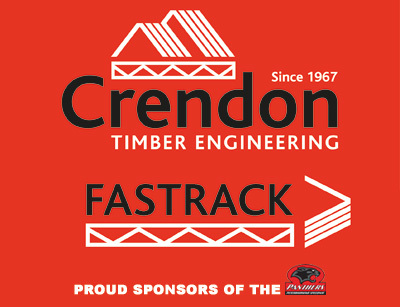 With two members of the Panthers septet for 2019 now confirmed, further team announcements are expected next week.